(NO 798 968) Durris House, to which a larger mansion has been attached in later times, probably represents portions of a large courtyard-type castle of an earlier date, much of the vaulted basement foundations of which survive below present ground level. The tower was L-planned but the re-entrant angle has been filled in with later work, probably in the 17th century, and the roof level altered. 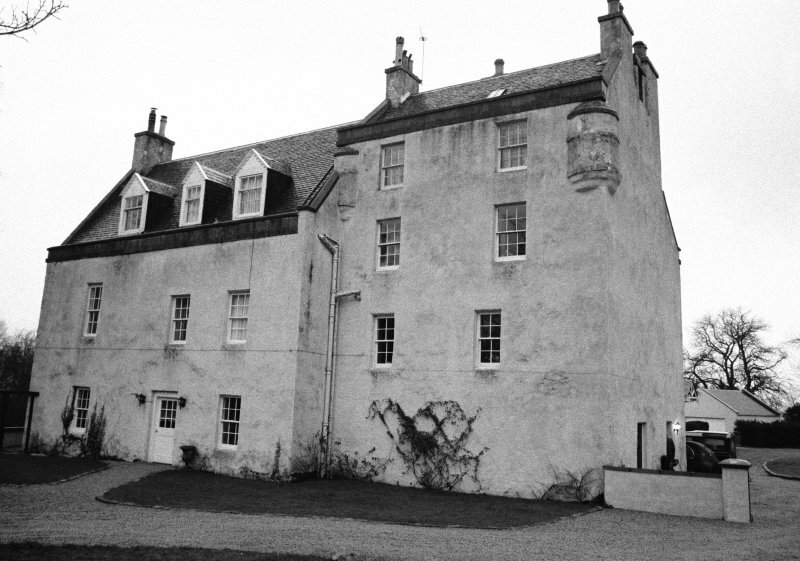 The two doors in the present S gable are modern, the original entrance now being internal, in the foot of the stair wing. Much modern work has been added to the N and E but opposite the old tower at the eastern extremity, there is a tall squared building which might represent at least the base of a former courtyard flanking-tower. It has another vaulted basement from which other vaults extend below the present modern house. Architect: Archibald Simpson. 1824 additions.